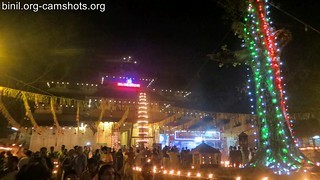 Vadakkunnathan temple is located in Thekkinkadu Maidan, in the middle of Thrissur town, Kerala, South India. You can’t miss this landmark once you enter the Swaraj round. The railway station of Thrissur is just 2 kilometers away from the temple while the closest airport which is in Cochin is about 50 kilometers away. 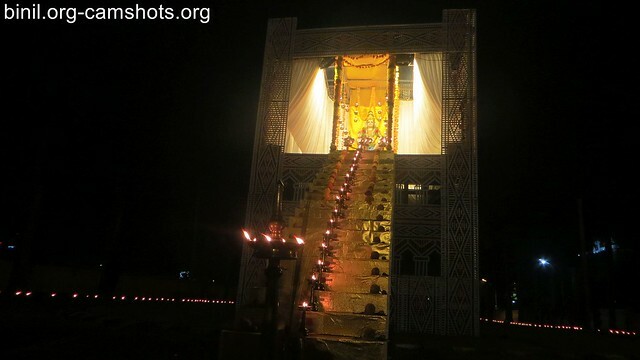 The temple and the entire Thekkinkadu Maidan comes under the jurisdiction of Cochin Devaswom Board. 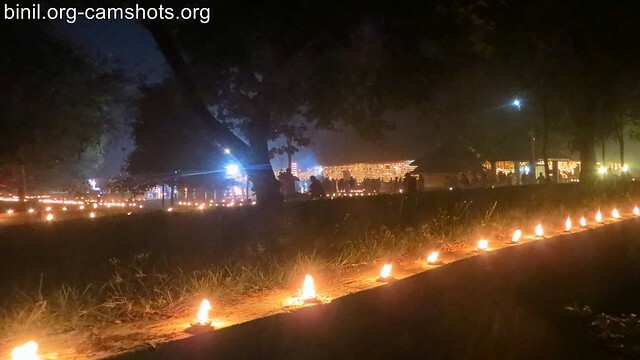 Though the thekkinkadu madidam is under Cochin Devasom board, you can get permission and conduct or organize meeting or festival with out any problem. Prime ministers of India like Jawaharlal Nehru, Indira Gandhi, Rajiv Gandhi, Atal Bihari Vajpayee, Manmohan Singh, Narendra Modi have given speeches at Thekkinkadu Maidan. 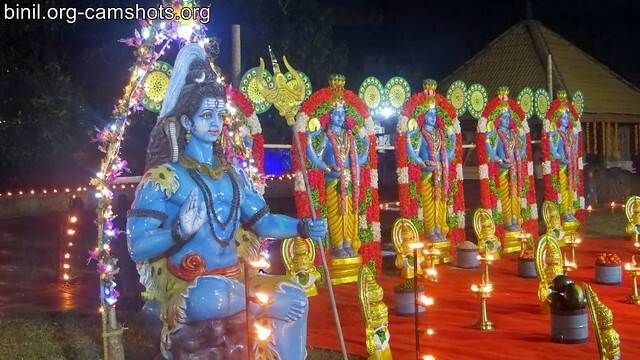 According to folklore, Vadakkunnathan temple is the first Shiva temple which was created by Lord Parasurama. The temple is surrounded by a massive stone wall enclosing an area of nearly 9 acres. 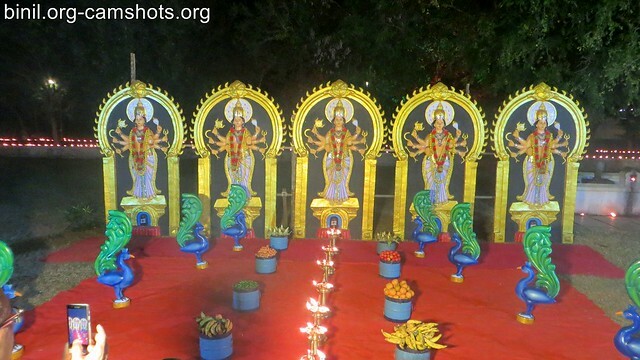 There are four gopurams facing four cardinal directions. 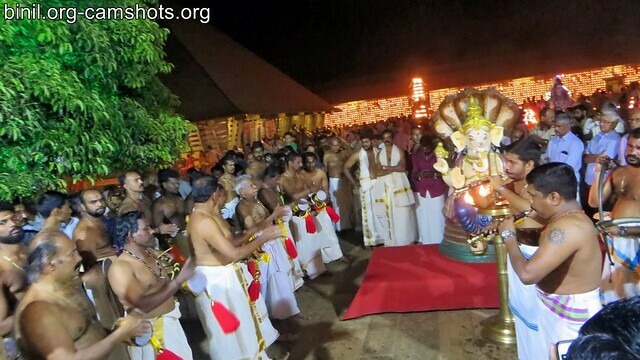 Of these, the gopurams on the south and north are not open to the public. 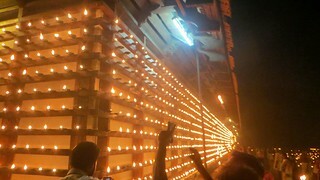 The South is only opened for special occasions like Thrissur Pooram. Inside in the inner temple, the main diety is Lord Shiva, as Shiva lingam facing west. 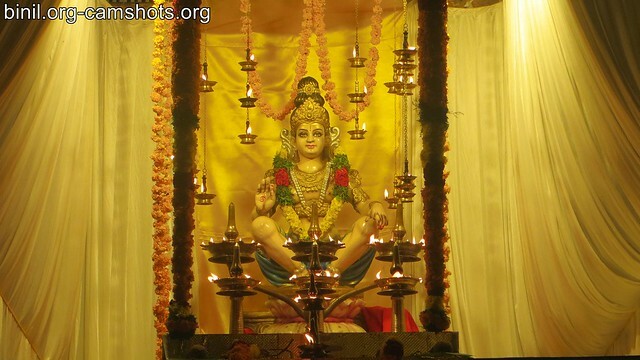 No one alive has seen the actual consecrated form of the diety since it has been covered by a mountain of ghee for several centuries by the daily ritual of pouring ghee over it. In spite of the hot humid nature of Thrissur the ghee remains well preserved. The ghee perhaps makes this this the only temple where the Shiva lingam is not visible. Right behind is Godess Parvathi facing east. Lord Ganapathi facing the kitchen in the east direction. 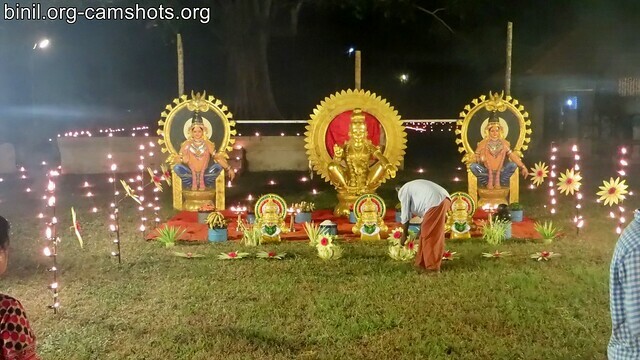 Then Lord Sankaranarayan and Lord Shri Rama facing west. Outside there are shrines for Lord Krishna, Nandikeswara, Parashurama, Simhodara, Ayyappa, Vettekkaran, Sarpakkavu, Adi Shankara etc. 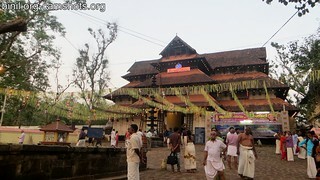 There is also Koothambalam which is said to have been built by Perumthachan. 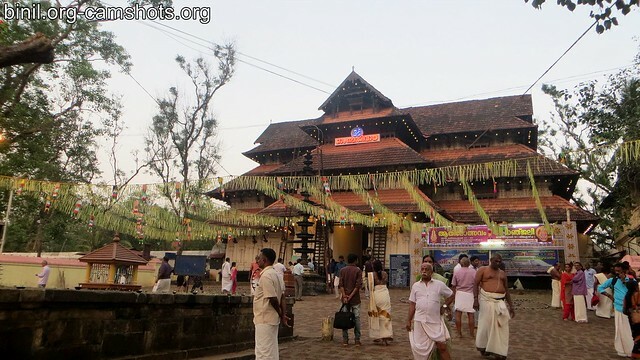 This temple is an example of the classical Kerala style of architecture featuring outstanding murals of the 17th century echoing the story of Mahabharata. 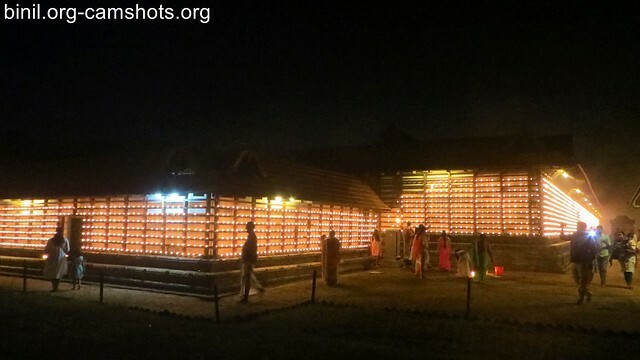 The wood carved vignettes are displayed in the Koothambalam and shrines. The temple, along with the mural paintings, has been declared as a National Monument by India under Ancient Monuments and Archaeological Sites and Remains Act. The temple opens daily at 4:00 AM, closes at 11:00 AM, reopens at 4:30 PM and closes at 8.20 PM after ‘Trippuka’. The dress code is liberal, you can wear pants. But you will have to remove your shirt while entering the inner temple. 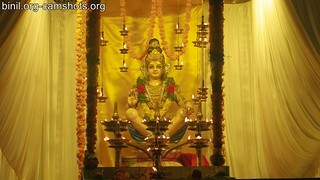 Three poojas are performed daily. 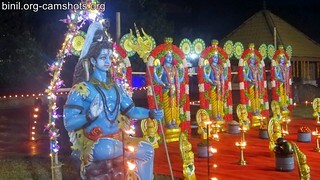 No deities are taken outwards to procession. 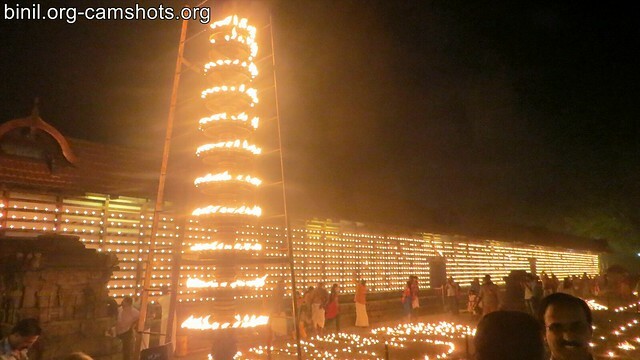 Every time the nada opens, there is niyamavedi (Kathina timing fire). 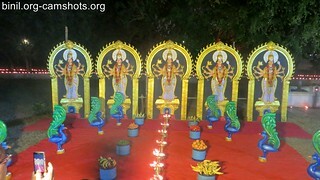 These photos or pictures were taken during the Deepanjali Festival. This is one of the must visit places in Thrissur. Please note the timings specified above before visiting the temple. 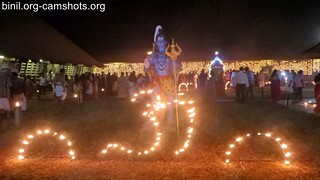 If you are coming on Sunday evenings its extra good – there will be bhajan near Lord Krishna that most people will enjoy. Never bother about the parking space, there’s 61 acres of it (Thekkinkadu Maidan). Its the biggest you will ever see. Only on special occassions like Sivarathri that you will find parking difficulty. Please note that during Thrissur Pooram you may note be able to come into Thrissur town on vehicles as they will be blocked. Inside you will feel the complete opposite of the busy city just outside the temple. Inside its a totally different atmosphere. The temple is maintained very efficiently by the staff and there is lush green all around. Its been recommended to be listed as a part of UNESCO World Heritage Site.